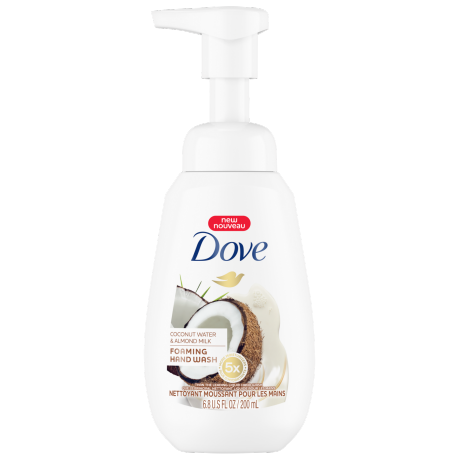 With a coconut and almond scented lather, this Dove foaming hand wash gently nourishes and cleanses your hands. A creamy, nature-inspired fragrance and a caring formula: it’s an indulgent pairing that we can’t get enough of. 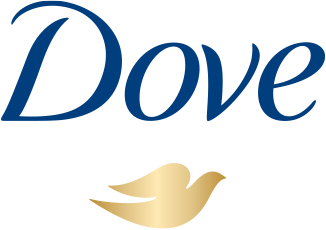 Dove Foaming Hand Wash with Coconut & Almond Milk scent nourishes your hands with every wash, leaving your skin soft, smooth and beautifully fragranced, so you can enjoy little moments of indulgence all throughout your day. Formulated with 5x more moisturizers than the leading hand wash, this foaming hand wash won’t strip your skin’s moisture like regular hand soap can. Instead, your skin is left feeling nourished and replenished, not dry or tight. With gentle cleansers, and no alcohol, dye or sulfates, the rich, indulgent foam purifies and pampers your hands. And with that creamy lather and scent of coconut water and almond milk, every use leaves you feeling comforted. Pure indulgence with every wash.
Water (Eau), Glycerin, Sodium Lauroyl Glutamate, Cocamidopropyl Betaine, Sodium Chloride, Polysorbate 20, Fragrance (Parfum), Sodium Lauroyl Glycinate, Phenoxyethanol, PPG-9, Stearic Acid, Citric Acid, Tetrasodium EDTA, Sorbitol, Iodopropynyl Butylcarbamate, Hydroxyethyl Urea, Cocos Nucifera (Coconut) Water, Prunus Amygdalus Dulcis (Sweet Almond) Seed Extract, Nonfat Dry Milk (Poudre de lait écrémé), Prunus Amygdalus Dulcis (Sweet Almond) Oil. Wondering how to care for dry hands? Making sure your skin gets as much moisture as possible is the key. With 5x more moisturizers than the leading hand wash, Dove Foaming Hand Wash with Coconut & Almond Milk scent helps to moisturize your hands even while you cleanse them, so they stay soft, smooth and beautifully nourished. Find indulgence in even the smallest parts of your day. This foaming hand wash is infused with a coconut water and almond milk scent, so even washing your hands is an indulgent moment of beauty. Indulge your senses with a beautiful scent every time you wash your hands. With a creamy, comforting scent and a foamy, rich lather, this coconut water and almond milk scented foaming hand wash leaves your skin lightly fragranced with every wash.
To nourish and cleanse your hands, pump Dove Foaming Hand Wash with Coconut & Almond Milk scent onto wet hands. Massage the soft, rich lather into your skin with circular motions, and then simply rinse away. Trying to smooth away dry skin on hands? There’s a trick to speeding things along: hand cream. Place one next to your Dove Foaming Hand Wash with Coconut & Almond Milk scent and whether that’s in the bathroom or by the kitchen sink, you can keep your hands nourished at all times.